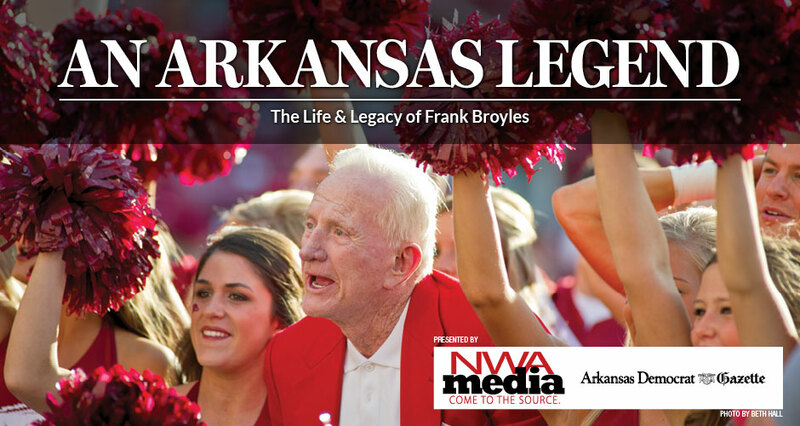 As sports legend, coach, director, fundraiser Frank Broyles retires, we're asking Arkansas sports fans to help us honor a man who has made such a large contribution in Arkansas athletics. Send us your memories of the man and his impact on Arkansas athletics as depicted in your photo collections. Whether it's your favorite moment in the Frank Broyles football stadium or a photograph of Broyles, his coaches or his players during his tenure, we welcome your contribution. We'll select some of the best to feature in our upcoming pictorial book: An Arkansas Legend: The Life & Legacy of Frank Broyles due to be released later this year. This collector's edition will be in the homes of Razorback fans throughout Arkansas. In addition to being published in the book, our top three picks will also receive two tickets to the Razorback home football game of their choice.